Reality has come knocking on Kelly Cutrone's door. Again. The notorious "I only wear black" public relations taskmaster and boss from hell now has her very own reality show, the aptly titled Kell on Earth. The show's distributor, Bravo, calls Cutrone one of the "coolest, scariest and New York-iest people ever." Kell On Earth will follow Cutrone - who has previously appeared on MTV's The Hills and The City as Lauren Conrad and Whitney Port's employer - as she juggles running People's Revolution (a public relations, branding and marketing firm) with being a single mother. Another hot A List post, Alanna! 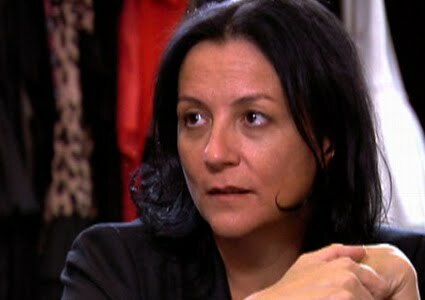 MTV’s The Hills and The City first introduced me to Kelly Cutrone. The element of a fantasy life allow those shows to entertain. Uneducated girls with no credentials “work” at top fashion magazines, with Diane von Furstenberg or at Cutrone’s PR agency, People’s Revolution. Still, Cutrone keeps it real and tells it like it is. While running a business during a recession, she has no time to deal with reality TV star drama. Cutrone argues that you can’t get anywhere in life by resting on your looks and letting the guys get ahead.